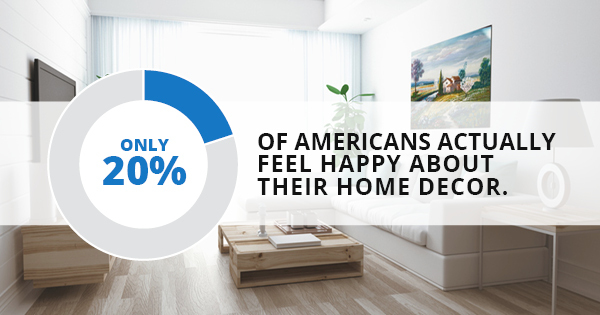 Did you know that only 20% of Americans actually feel happy about their home decor? Fortunately, summer is just around the corner and chock full of new opportunities to freshen up your home's appearance. If you're ready to start the new season with a new outlook on your home's decor, here are a few easy ways you can get started. Summer is the perfect time to make your home a little bit greener, but who wants boring planters all around the house? Instead of going colonial for the season, try something a little more beachy. Consider planting succulents or another small plant inside of a large seashell. These nautical home decorations are sure to bring a little bit of the ocean into your life every day. Sick of looking at dull, boring furniture? Spice it up with some new throw pillows on your couches and chairs. And if you're working on a budget, simply invest in a few pillow shams. Life preserver and nautical wheel prints can bring an especially unique, summery vibe to your furniture. Summer weather is perfect for dining on the patio and picnics in the backyard. But where are you going to sit? Investing in new outdoor furniture -- or even painting the set that you already have -- can create a perfectly quaint outdoor venue for all of your summer dining adventures. If you're eating outdoors, you're going to need some excellent lighting so you can see your food. Fan of the beach? Think about getting paper lanterns in fun nautical shapes, or even nautical items like puffer fish lights to keep your backyard shimmering. Seasonal candles are a great way to spice up your decor without changing much. Nautical home decorations like a nautical clock might help change the physical appearance, but you'd be surprised at just how much a beach-scented candle can brighten up a space. These are just a few ways you can spice up your home decor this summer. If you're looking for more inspiration, the sea and sand are great places to start!